Lots of claims and accusations of Kevin being a scam artist online. Follow undergroundpdc on Twitter to get updates on this unique experience! See the future of Developer Technology at The Underground @ PDC 2009, sponsored by INETA, Microsoft and local Southern California partners. The Underground will showcase the vision and roadmap of Microsoft’s Developer Platform and highlight newly released technical strategy & announcements direct from The Professional Developers Conference by Microsoft leaders and local community luminaries. Located at the world famous Conga Room in the new downtown Los Angeles’ entertainment district – L.A. LIVE, come to one of the hottest salsa destinations and experience the hip, exciting, authentic Latin Sabor! REGISTER for the Underground @ PDC 2009! Energy will play a key role in our future economic growth and recovery of the Inland Empire. This Energy Summit presents an opportunity to gain knowledge from top experts on topics such as energy policy, energy efficiency and conservation, green house gas reduction and renewable industry opportunities. Regional business owners and community leaders are invited to engage in discussions including energy project funding, incentive programs, Climate Action legislative impacts and evolving energy-related technologies. An Exhibit Expo will feature leading companies in the energy related industries. Please Note: Fees will be refunded if cancellation is received four (4) business days prior to the event. Join us at the next empowerLA Young Entrepreneur event on Tuesday, November 3rd from 7:00- 9:30PM at the Los Angeles Meeting & Event Center in Culver City. Ample free parking is available at the venue. We’ve got some great things planned for this event. Please arrive between 7 and 7:30pm for check-in some pre-event networking. Cost is $15 for early bird tickets and $20 after that. We have limited space available for this event, so if you can make it, get your RSVPs in soon! Learn how to start that business you have always wanted – in an interactive format! Scott Orsulich, President of START THAT BUSINESS!™, will show you how to take an idea for a new business, start that business and prepare it for launch. Scott will demonstrate ways to save you time, money and avoid unnecessary effort when striving to build a best-in-class business. New entrepreneurs will learn how to start their dream businesses and prepare them for launch. Established entrepreneurs will learn how to either restart their entire businesses to bolster sales, or how to start a part of their businesses for the first time. Scott will also incorporate your feedback as part of the interactive presentation. An electronic survey will be sent out to all confirmed meeting attendees (those that have paid for their attendance), and Scott will incorporate this feedback as part of his presentation. START THAT BUSINESS!™ is a Los Angeles, CA based entrepreneur startup solution development company that helps entrepreneurs start their dream businesses and prepare them for launch! We advance entrepreneurs’ ideas by creating the concepts, strategies and content for them to build best-in-class businesses. Our affordable custom solutions allow new and established entrepreneurs to focus on their core businesses – from start to launch. Scott has extensive experience in entrepreneur / small business startups, marketing, advertising, public relations, Customer Relationship Management (CRM), Customer Experience Management (CEM), Sales Force Automation (SFA) and the financial services arena. Scott has worked with entrepreneurs and small business startups, marketing agencies and Fortune 500 companies alike, while consistently being recognized for developing best-in-class customer-centric business concepts, strategies and content that positively impact revenues. In his last corporate position Scott was a Vice President of Marketing at Citigroup. While starting his own businesses and preparing them for launch, Scott has been featured on NBC, FOX News and MSNBC.com on a local, regional and national level within the United States. Course Description: Drupal is one of the most popular content management systems on the internet. Based on PHP/MySQL, its power and flexibility combined with its exceptional design mean it is already on the way to becoming the de facto standard for CMS Websites. Drupal’s modular design and structured source code make it both highly flexible and easily extended and modified. Drupal is extremely scalable, making it ideal for both a simple personal website as well as an industrial strength commercial or institutional web presence. Audience: Application and web developers, system administrators responsible for maintaining a Drupal installation. This topic answers the main “need to know” questions about Drupal: what’s Drupal, who’s using it, why are they using it, and how does it ‘work’? It also provides some historical context to Drupal, introduces essential terminology, and other introductory information regarding content management systems. Ths topic gets you up to speed on how to install Drupal, as well as how to do upgrades down the road. This section also includes information regarding initial configuration and security settings, including users and roles and content security settings. This hands-on topic hits the ground running, and will show you how to use Drupal’s core functionality, as well as a few contributed modules, in order to build a basic business website. By the end of this topic, you should feel comfortable in Drupal’s administrative section, and also know how to create basic content through a WYSIWYG interface with the FCKeditor and IMCE modules. We’ll also discuss Drupal modules that can help handle inevitable abuse, including Mollom. This topic introduces the Content Construction Kit (CCK) and Views modules by walking through the construction of a community website. By the end of this topic, you’ll understand how to create custom content types and add form fields. This topic provides overview information about Drupal’s theming system, and some basic tricks you can use to override the look and feel of Drupal. By the time you finish this topic, you can start modifying template files and start to give Drupal your own look and feel! Evaluating modules is often the biggest hurdle to building a Drupal site. This section is a breakdown of strategies and tips for figuring out which module will work for your site. In this wrap-up module, we discuss the important topics of security, hosting providers, professional management of Drupal and performance tuning the underlying mySQL database. AustinCMS specializes in high-tech training for people who prefer high-quality, hands-on and personal learning environments. All of our instructors have over 10 years of successful real-life technology experience, as well as engaging presentation and teaching styles. We specialize in and are passionate about open source tools and technologies. To that end, we work extensively in the areas of site development, usability evaluations of existing sites and troubleshooting and redesigns of existing sites. Classes can be held on-site at your facilities, as well, to minimize project downtime. Please contact us at [email protected] for more information. Scholarship $10,000 For Moms, Get Register! Are you a hardworking mom? Don’t have time, money or the support to complete your education. Follow your dreams and register for $10, 000 scholarship today! Register now! Last date for registration is November 16th, 2009.
scholarship4moms give a new dimension, you can easily balance the motherhood and your career and can earn a degree to get the benefits. Don’t stay to look back, time is yours with scholarships4moms. You could be the lucky winner of this $10,000 scholarship to change your world for better benefits, higher paying career and more opportunity for advancement and become financially independent. Scholarships4moms.net is providing a helping hand to all the moms to gear up their education. Complete the short registration form. View information available from schools offering online and campus courses and, if you like, request information or search for a student loan. You’ll know you’re finished when you reach our registration thank you page. Need a good auto insurance coverage at the best price? Need instant access to the top insurance providers? A growing number of people are dropping their auto insurance to try to save money, according to a recent study by the Insurance Research Council (IRC). If the current rate of unemployment continues, the IRC estimates that the national uninsured rate will climb from 13.8 percent in 2007 to 16.3 percent in 2010. With that many people driving without coverage, it’s dangerous to be uninsured. But how much car insurance do you really need? CarCRACKUp provides a simple step to get a FREE auto Insurance Quote Instructions. Enter you email address and your zip code and get a free auto insurance quote and you may save up to $500 per year. Auto insurance is as important as our Life insurance. Auto insurance is required as per the law is concerned but you need to know for the best fit for you. This code will give you access to all the premium features of the website for a limited time. Please feel free to spread the code out on your blog as we are trying to promote the code within our social network. You Have 5 Clicker Invites! We’re now a little more than a month into our beta. We hope you’re liking Clicker so far! For our part, we’ve been learning a ton from your collective feedback. You may have even noticed changes being made to the site as we get ready to open Clicker up to the general public. The link below will work for the first 5 people who use it. Just pass it along and we’ll do the rest. Remember, only the first 5 people who sign up using your special link will be able to get into Clicker. And, by all means, keep your feedback coming, either by clicking the Feedback button on any page of the site, or by emailing us at [email protected]. We honestly can’t get enough of it — positive or negative. It’s all useful for honing Clicker into the complete programming guide to Internet television. Thanks again for signing up for the beta! We at Clicker only like receiving emails if they’re absolutely necessary, so we promise to only send you an email on the rare occasion that we have something important to tell you. If you absolutely never, ever want to hear our friendly voice again, just email us at [email protected] and we’ll go away quietly. Mimis Cafe is offering a breakfast on the house when you sign up for its E-Club membership. It’s free to join and you’ll get e-mails about upcoming Mimi’s promotions and news. When you sign up, a coupon will be e-mailed to you with an expiration date (so time it wisely). The breakfast can be up to $10 in value. Try the Mixed Berry Pain Perdu Breakfast – from $7.79 to $8.49 at local Mimi’s. It’s French toast stuffed with cream cheese and orange marmalade, and topped with strawberries, blueberries and a strawberry puree (Sounds tasty, right?). It’s also served with two eggs and bacon or sausage. Find your nearest restaurant here. Natural organic handmade soap at wholesale is made by Rogue Valley Soap and Candles. The organic hand made soaps are scented with pure essential oils. Rogue Valley Soap Company is a small family-owned business located in beautiful Southern Oregon. We are dedicated to making the finest natural handmade soap at wholesale prices. Also available are premium handmade soy tealight candles, soy votive candles, and hurricane candles. We use only the highest quality ingredients in our hand made soap and in our soy tealights and soy votives. Our handmade soap is made in small batches using the”cold process” method, thereby retaining the natural glycerin that is produced during the saponification process. Glycerin naturally soothes and softens the skin. Many commercial soap manufacturers remove glycerin from their soap, thus leaving your skin dry and itchy after using their soap. The base of our natural handmade soaps is olive oil, coconut oil, palm oil. We don’t use tallow or animal fat in any of our handcrafted soaps. The natural handcrafted soap is scented with pure essential oils that are distilled from natural herbs, plants, and flowers. Because our soaps are handcrafted, they are very unique in size, shape and characteristics. Each bar of soap is hand cut and weighs approximately 3.5 to 4 ounces. Handmade soap lasts longer than the commercial soaps found in retail stores. The aroma therapy and therapeutic values of the natural, pure essential oils used to scent our soaps are listed in The Essential Oils Guide. Most of the natural herbs used in our soaps are organically grown (pesticide free) in our herb gardens in Grants Pass, Oregon. The handmade soap is air-dried and aged for a minimum of four weeks to produce a mild, gentle, long-lasting bar of soap that is naturally high in glycerin. Our soap will leave your skin feeling smooth, soft, and re-hydrated. Handmade hurricane candles are made from a high temperature wax to prevent the shell from melting. Real flowers (grown in my garden in Grants Pass, Oregon) are encased in the candle wax. Hurricane candles are hollow inside. Illuminate the hurricane candle by placing a tealight candle or a votive candle inside the candle. Soy tealight candles and soy votive candles are hand-poured in small batches. These highly fragrant soy tealights and soy votives will scent and entire room. Soy tealights will burn 6 to 8 hours and soy votives will burn 18 to 20 hours or longer. Soy wax will liquify when burning, so a snug-fitting container is necessary when burning the votive candle. Soy wax is water soluble and easily cleans up with soap and water. The natural hand made soaps, hurricane candles, soy tealights and soy votive candles can be purchased locally at Savannah Faire in Grants Pass, Oregon, and at Siskiyou Artisans located in the Rogue Valley Mall in Medford, Oregon. You can also find me on Saturdays from 9 a.m. to 1 p.m. at the Growers Market in Grants Pass, Oregon. I also sell at various craft faires and festivals in California, Oregon, and Washington. Handmade soap makes great wedding favors. Soap labels can be personalized with the bride and groom’s name and date of wedding. Close to 1000 poeople lined up outside of Los Altos High School as the local water company gave away 2 free HEF toilets to each home that was able to verify that they lived at the property. October 31, left many disappointed by not receiving thhe toilets. We arrived at about 9am and the line stretched for blocks. We came within 100 or so people of probably getting the toilets. We home that the water disctrict finds a way to manage this popular giveaway. Our water bills are way too high and this is one way to cut the costs but also save our natural resource. High Efficienncy Toilets use substantially less water because of the dual flush system. The 1000 toilets be given out today are part of a program that is supposed to occur again in Feb 2010 in West Covina. Stay tuned for more details as they become available. The best advice is to show up before the 8am opening and you have a pretty good chance, I am sure some people got their before 6am. Happy Halloween to everyone. Seems like really nice weather in most parts of the country for a Fall day in October. The last day of October 2009, celebrating Halloween. Pasadena has some haunted houses, in particular one located in Old Town Pasadena. Not to be missed has dungeons, mummies and other scary features. Irwindale SpeedWay in Irwindale off the 605 is having some promotions, Ibelieve if you are a kid and come dressed up you get in free. For directions to The Americana at Brand, click here. To RSVP to this event, call 323.769.5064 or email [email protected]. For more information, contact Concierge Services at 818.637.8982 or visit us online at www.americanaatbrand.com. Thank you for your RSVP to the The Great Aussie BBQ. We’ll see you on Saturday, November 7th from 3-5pm. Your RSVP will also serve as your registration for the trip to Australia sweepstakes. Check-in will occur on The Green across from Martin + Osa. Sustainable Business Leadership Council’s Green Business Expo. An Expo to the Possibilities of Eco-Friendly Business. Disclaimer: If expo is full and we are unable to include you in our event, we will not charge your card. We will also advise you of the situation and let you know if we have a waiting list available for the event. More details to follow with official press release to be issued shortly. recording studios, cartage, storage and music technicians in an environment of privacy and discretion. TV. Ben Jumper is President and CEO of SOUNDCHECK LA LLC. Celebrate Latino traditions with the whole family on a fall afternoon in the beautiful gardens of the Fenyes Mansion. Enjoy delicious food, lively music, and dance performances. Join in workshops for Folklorical dance and Mexican arts and crafts. Silent auction items will be available for bidding. 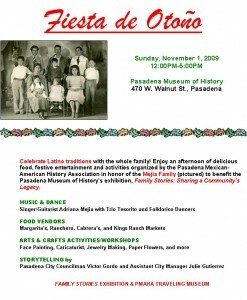 Sponsored by the Pasadena Mexican American History Association; funds raised will support the Museum’s Family Stories exhibition. Parking available at Avery Dennison, entrance off Walnut Street. Tickets: Free admission; fees for food, beverages and special workshops. Almost $19k Raised! Help Us Reach $20k in FINAL 2 Days! This is a letter I received this morning from Doug Campbell who has been working to raise $20k for some really good causes. Help out he is almost there. It’s been quite a while since a Projectfresh mailer! However, this topic is too important. If you don’t know, for my 30th birthday, I went on a 7 day, 7 city, 7 party fiesta – and raised almost $20k with my cohort Sloane Berrent! However, we are just shy of our goal. THIS IS YOUR LAST TWO DAYS BEFORE DONATIONS CLOSE! NOTE: $5 buys a net, $150 saves a life..
Help us reach our goal of $20k!